With more than 5,100 authors participating (and multiple organizations—including SCBWI—getting their members to take part), this survey has six major takeaways that you can read here. 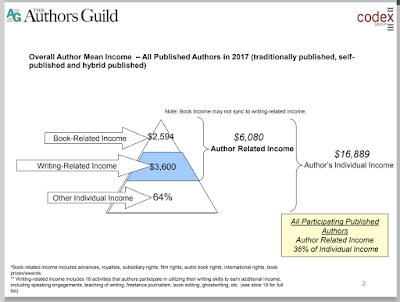 One of the big ones is that annual mean author income from books alone is just under $2,600! The numbers, and report, are sobering information, well-worth reading, and useful—writing for kids and teens is certainly a "dream job," and at the same time it's important to have realistic expectations of what a career as a writer means financially. 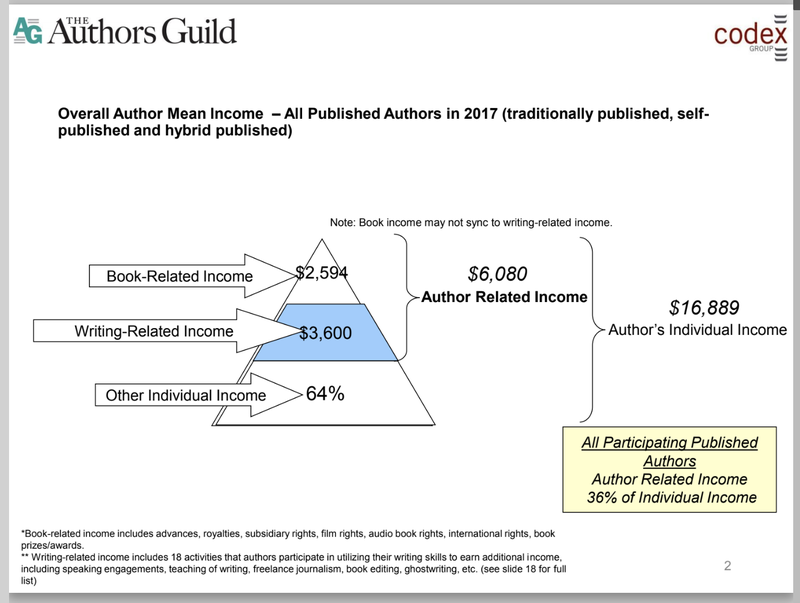 $6,080 is the mean annual income of all published writers in 2017 (traditionally published, self-published, and hybrid published) from both book and writing-related income. For those of us in that vast majority, we need a day job/additional stream of income to make things work! There's lots more to read in the report - do so here.